Watersavers $30 Visa Gift Card And Car Supplies Giveaway! Fine Print: I was given a prize pack and International Carwash Association is giving another to a reader. All opinions and statements below are my own. The weather is warm and it’s time to get into spring and summer cleaning! During Memorial Day weekend we went through all of our drawers (the kids AND my and my husband’s closet) and put it all in the garage sale area (we have one every year!) It feels good! 1. Your car is a reflection of who you are – There’s no question your car is a reflection on you. Whether it’s all about horsepower, efficient gas mileage or four-wheel drive, your vehicle represents who you are, where you’ve been and where you intend to go. The design, form and function are extensions of your style and personality. So, if you haven’t given it a wash in a while, what does that say about you? You wouldn’t walk out the door without a shower, a shave and a little spruce up. (Would you?) So why shouldn’t you show that same respect for your car? From dirt and dust to grit and grime, give that car its reflective shine at a WaterSavers car wash. WaterSavers professional car washes use an average of 40 gallons of fresh water or less per car, according to the International Carwash Association. As a frame of reference, that 10 minute shower you took used 25 gallons of fresh water. WaterSavers washes also recycle and filter the water to prevent harmful chemicals from entering groundwater supplies that feed rivers and streams. 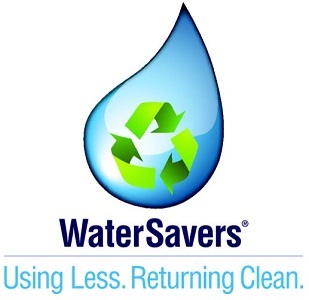 To find a WaterSavers car wash near you, visit Washwithwatersavers.com. 2. Regular car washes protect your paint job – That beautiful factory paint job will dull and begin to chip away if you don’t maintain it. Regularly washing your car and waxing it will help keep your car looking as good as it did when you pulled out of the dealer lot. 3. Professional car washes help maintain the value of the vehicle – You might be more inclined to spend money on engine issues than the car’s exterior, but stains and rusting can drastically decrease the value of the vehicle over time. Especially after a long winter, exposure to the elements can cause damage. Professional car washes thoroughly clean the undercarriage of your vehicle, where there may be a buildup of road salt that could cause corrosion to the car’s exhaust and muffler system. For more information about the benefits of keeping your car clean visit, visit the Watersavers site! To get everyone in the spring and summer cleaning mood, I am giving one lucky winner a Watersavers Prize Pack including an auto kit with jumper cables, gloves, flash light, reflective cones and other must-have tools ($45 value), a sun-shade for protecting your car from the blazing sun ($25 value) and a $30 Visa Gift Card! To enter this giveaway, complete any or all of the options listed below. Giveaway ends 6/7. Good luck! My fast car clean is to take out the trash and any misc. things that have accumulated over the week and shake out the floor mats. 🙂 Thanks for offering this giveaway! I use a furniture spray to go over the interior and shake out the floor mats. I clean the interior mainly. I wash it and vacuum inside. I rarely clean my car, but when I do I usually just rinse it off. I wash my car on the inside and outside once a month. I wax it every 3 months. Quick wipe with Clorox wipes when waiting to pick the kiddo from school. I vacuum it out and try to get a good car wash. I vacuum the floor mats and seats and clean out the trunk. Every month I clean out the inside, vacuum, and clean the outside of it as well. I vacuum and detailed clean inside of the car mainly. I always detail my car, clean it inside and out and wipe down the interior. My quick clean is to run through a gas station car wash and use their vacuum to clean the inside. I didnt know that some used more water. I checked and I do have some of these by me and will use them! I just try to keep things picked up and wiped down each week but sometimes it gets dirty. I do a good thorough wash at the car wash to get all of the awful salt off off it! I collect any trash in a bag and vacuum. I take the garbage out of the car every day and use wipes to clean off the dash once a week. I vacuum my car and take it to the car wash every few months. I wash the floor mats, clean up the kids seats and dust. I’m lucky, my husband keeps it clean for me. I take mine to car wash and wash and vacuum the inside out. For quick cleaning I run my car through the 3 dollar car wash up the street, then I dust the dashboard with a microfiber cloth and use the dustbuster on the floor mats. I clean up any trash and wipe the dash board down with a armor all wipe. I use baby wipes to wipe down everything, throw the trash in a grocery bag and spray Febreeze. I take my car to the car wash every once in a while! I throw out the trash and wipe down the dashboard. I use my hand held vacuum and clean off the floor mats. I let the car get rained on and I will rub a dry cloth across the inside to get dust off the dash. I quickly vacuum it out. I clean my car with Baby wipes inside and out! Clear out any trash and head to the carwash. Quick and saves water at the same time. I wash the outside and clean the inside.